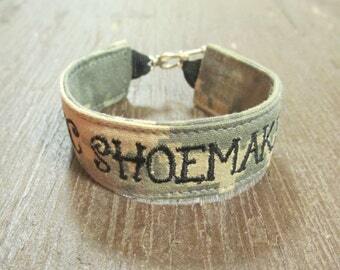 Do you love Navy Military bracelets? Want to wear your Navy colors proudly? Our patriotic Navy Camo bracelet is the perfect item for you! It's adorable heart-shaped clasp shows the love you have for your American Hero! Don't forget one for your best friend! 5/8"x7" (bracelet part, clasp not included in measurements). Your Military Camo bracelet will be Made in USA of course! We only use high quality materials in the making of our Custom Navy jewelry. Your patriotic camo bracelet will be crafted with passion and the utmost attention to details and will be a tangible display of your Navy Pride. Your military bracelet will ship in within one day! Get yours today! 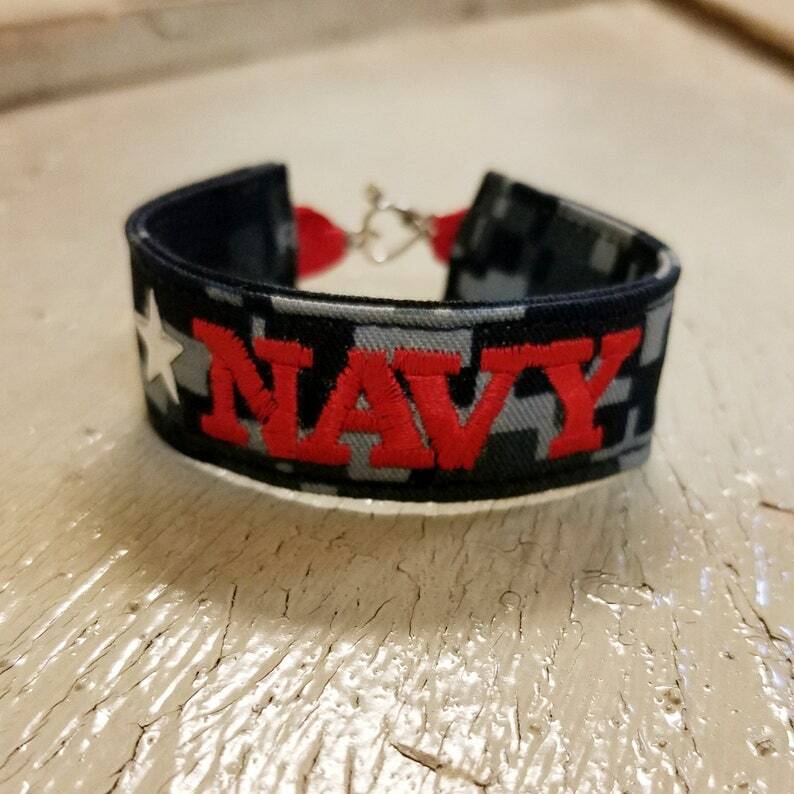 Our Navy Bracelets make great military gifts, deployment gifts, patriotic gifts, Navy wife or Navy mom gifts and homecoming gifts. These turned out great! The seller was very accommodating to my requests and responded so quickly! Thank you for adjusting the kids bracelet fasteners, they are really cute. In love with my order! Will definitely be ordering from here again!